Written by a working scientist/engineer who has used DSP in his inventions and designs, this book will help design engineers on the job trying to master a tough subject that is now regarded as an essential engineering skill and put it to use. This book introduces the mathematical models used to design and understand both Signals and Systems. Developing a deep understanding of how to digitally create and manipulate signals to measure and control the physical world and communication. Digital signals place great demands on processing power, network bandwidth, storage capacity, I/O speed, and software design. As a result, signal computing is a great laboratory for exercising the full range of knowledge of computer science. 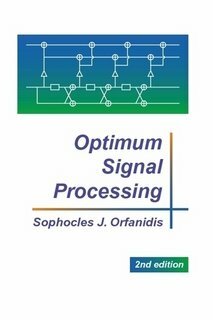 This comprehensive and engaging textbook introduces the basic principles and techniques of signal processing, from the fundamental ideas of signals and systems theory to real-world applications. This book is an introduction to signal processing and system analysis using a computational approach with Python as the programming language. It develops the important ideas incrementally, with a focus on applications. This book, together with its predecessor Foundations of Signal Processing, presents a thorough introduction to the mathematical foundations of signal and image processing using Fourier and Wavelet Transforms. This book was developed for the course "Signal Processing Models in Musical Acoustics". The course was created for graduate students in computer music and engineering interested in efficient computational modeling of musical instruments. Conceived to be available to a wide audience, the aim of this book is to provide a guide to the latest advances in emerging issues in the design and implementation of DSP systems for application-specific circuits and programmable devices. Presents advanced developments in digital filters and signal process methods covering different cases studies with the main essence of the subject, with the principal approaches to the most recent mathematical models that are being employed widely. This book is a hands-on introduction to computer vision using Python. It gives an easily accessible entry point to hands-on computer vision with enough understanding of the underlying theory and algorithms to be a foundation for students, researchers. Almost all textbooks on signal processing have a section devoted to the Fourier transform theory. For this reason, this book focuses on the Fourier transform applications in signal processing techniques. A unique feature of this book is its integration with the statistical software package SAS (Statistical Analysis System) computing environment. Basic applied statistics is assumed through multiple regression. It provides an understanding of biological signals and digital signal analysis techniques such as conditioning, filtering, feature extraction, classification and statistical validation for solving practical biological signal analysis problems using MATLAB. This book describes the essential tools and techniques of statistical signal processing, with specific applications to the analysis of random signals and systems for communicating, estimating, detecting, modulating, etc. Signal processing is ubiquitous in modern technology. Its mathematical basis and applications are the subject of this book. Emphasis is on challenges, new techniques adapted to new technologies, and certainrecent advances in algorithms and theory. This book is a tutorial on image processing. Each chapter explains basic concepts with words and figures, shows image processing results with photographs, and implements the operations in C.
Provide you with different theorethical and practical approaches to digital filter design. It covers design of both finite and infinite impulse response filters. In addition, it applies the most popular and most commonly used design methodes giving the best solutions. Taking a novel, less classical approach to the subject, the authors have written this book with the conviction that signal processing should be fun. Their treatment is less focused on the mathematics and more on the conceptual aspects. Mixed-signal processing implies the use of both analog and digital in the same system. The reader is provided with information on how to choose between the techniques and how to design a system that takes advantage of the best features of each of them. A digital filter can be pictured as a "black box" that accepts a sequence of numbers and emits a new sequence of numbers. This book is a gentle introduction to digital filters, including mathematical theory, illustrative examples, some audio applications, and useful software starting points. This book focuses on the Discrete Fourier Transform (DFT), discrete convolution, and, particularly, the fast algorithms to calculate them. Topics on digital signal processing since its beginning, and new results in hardware, theory and applications, etc. Image analysis and processing is steadily gaining relevance within the large number of application fields to which genetic and evolutionary computation (GEC) techniques are applied. This book is the first attempt to offer a panoramic view on the field. This is an outstanding and often overlooked book on optimal signal processing. The author does an excellent job relating the filtering problem to optimization in linear spaces and then shows how this is related to the optimal correlation canceller. Sound manipulation is an activity that find an increasing number of practitioners in the fields of artistic expression, technology, and science. This book is aimed at providing such language and mathematical, algorithmic, and computational tools. One can say that human hearing occurs in terms of spectral models. As a result, spectral models are especially useful in audio applications. This is the basis of modern audio compression techniques. The chapters are organized in a progression from basic spectrum analysis to more advanced frequency-domain signal processing. This book has provided a step-by-step guide to programming these microcontrollers (MCUs) with the C programming language. This book will help you learn more about programming PIC microcontrollers in BASIC with practical, common-sense instructions, real projects, etc. The book provides numerous practical examples with necessary connection schematics explaining the operation of temperature sensors, A/D and D/A converters, LCD and LED displays, relays, communication modules etc. This is the previous page of Digital Signal Processing (DSP), Sound and Imaging Processing, we are in the processing to convert all the books there to the new page. Please check this page later!! !